Are you an intermediate windsurfer looking for a perfect spot to advance and enjoy the sport? Well, come to Dunkerbeck Pro Center and Sorobon Beach Resort and make use of the Premium Windsurfing Package! The Lac Bay lagoon is the perfect windsurfing location to improve your slalom or freestyle skills. 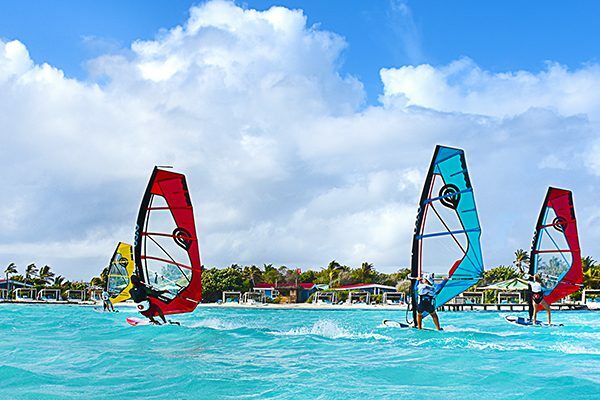 If you are able to control intermediate level windsurfing equipment, you can fully embrace the potential of the lagoon to your biggest advantage. We even include an advanced windsurfing lesson with microphone instruction! 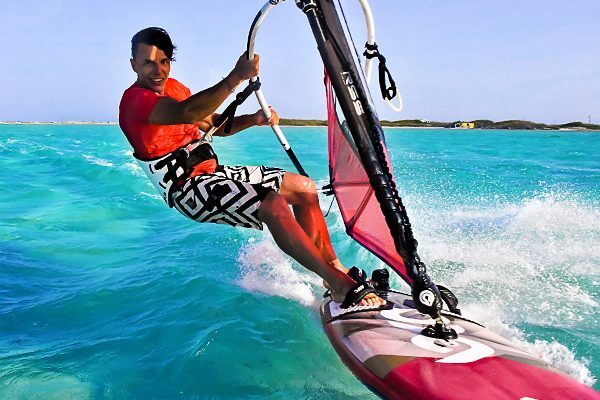 Spend your windsurfing holiday enjoying the water and the wind all-year-round! The package includes accommodation in Sorobon Beach Resort or Apartments. The apartments are newly renovated, comfortable and fully equipped, with either big relaxing terraces, or balconies.